A few minutes after the Chennaiyin-FC Goa encounter had finished, bringing the latter their third straight defeat of the season, midfielder Jofre Mateu was interviewed by the host broadcaster. The Spanish midfielder, one of Goa's key players, could barely hide his frustration. He laughed in despair, shook his head a number of times and blurted some cliches out about the need to stay united and positive. Clutching at straws. Grasping them, somehow. It was yet another insipid display from Goa, and Jofre looked somewhat broken. One would expect him to bounce back soon, but it's fair to say zero points after three matches is a scenario he and many others did not expect from last year's runners-up. Probably it hurt a little more to lose to a side that had snatched the ISL trophy away in such brutal fashion last year. The wound from that defeat is still raw. In the five matches these sides had met previously, the away team had always claimed the win. The trend broke this time because Goa played the match like a pre-season fixture; the intensity and energy was lacking severely. Marco Materazzi's Chennaiyin thrashed Goa 4-0 on their visit to Fatorda last season in the league phase. It was a game that had forced a tactical rethink from Zico. No longer was the expansive, attacking style that had been a hallmark of Goa’s approach considered a befitting tactical plan. As Akarsh Sharma noted, Zico fielded his pacy wingers Romeo Fernandes and Mandar Rao Dessai together only four times since that mauling. Neither of them featured on Thursday. Zico fielded a midfield diamond, but it was a porous arrangement. It took just 15 minutes for the flaws to be exposed, as Hans Mulder was allowed enough room to collect the ball and place it in the corner from 20 yards. There was far too much space between the lines, something that was obvious for the second goal as well. 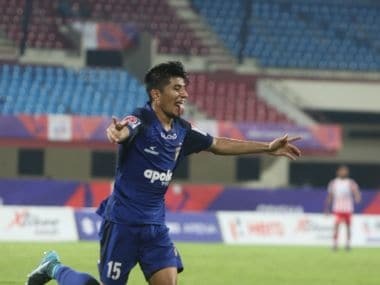 The fortuitous nature of the goal aside — it received a heavy deflection — Mehrajuddin Wadoo was allowed all the time and space he needed to get a shot away. With Goa still awaiting the recovery of key players, a challenge from the visitors never came in the second half either. They had lots of possession and time on the ball, but never did it seem that Chennaiyin would be threatened. The formation almost ceased to hold importance as the energy and desire to make it work remained absent. Zico, of course, cut a frustrated figure on the touchline. Materazzi had once again done a number on him. The Brazilian has stuck steadfastly to a belief in approaching games with an attacking mentality. But in light of the current situation, there needs to be a strategic rethink. The team has given away far too many cheap goals this term. To be fair to Zico, he did include Sahil Tavora in place of the relatively extravagant Dessai on Thursday. But one change was not enough to freshen the side. In the second half, Zico even shifted to three at the back, and later fielded a 3-4-3 formation. All to no avail. Let alone the goals, not even clear-cut chances would arrive. One would not envy the guy making the highlights package of this match. 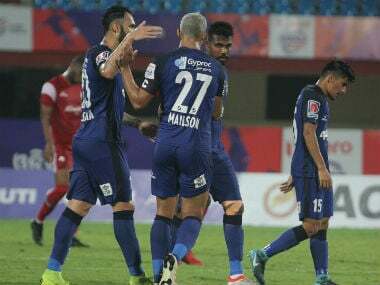 Chennaiyin were glad to sit back and absorb the pressure while Goa mucked around in the hope of catching a break in the second half. There was very little worth remembering. The good news is that Robin Singh is expected to recover in time for the away match in Kolkata on Sunday. His inclusion should help a side that has scored only once in three matches. For a side managed by Zico, that does not make for a happy reading. Of course, it is not curtains yet for Goa. One only needs to recall the inaugural edition of the ISL, when Zico oversaw a remarkable recovery. After only one victory in the first seven matches, the second half of the campaign saw Goa on an unbeaten run. 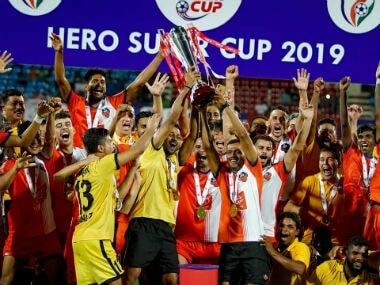 Although their season came to an end in the semi-final stage at the hands of Atletico de Kolkata through a penalty shootout, the team were unbeaten. 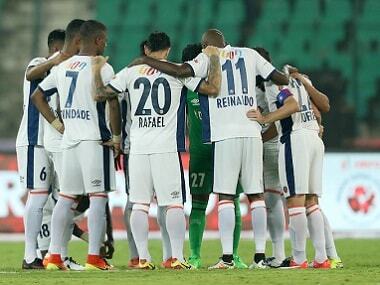 It will be against Atletico again that Goa now seek resurgence. The circumstances are admittedly extenuating. Another match in 72 hours when the side has lacked freshness is not the best recipe for a comeback. A flight from Chennai to Kolkata on Friday means that Zico will have only one day to work with his charges ahead of the match. But this is the hand that Goa has been dealt. In the ISL, recovery time is rarely enough. One or two fresh additions, however, may reinvigorate the team. Goa need to act very soon. Their hopes and chances are teetering on the brink. Jofre's patience wore thin on Thursday; he and his teammates can stay positive only for so long.